"Spicy mayo is the not-so-secret ingredient behind famous sushi rolls such as the "Spicy Tuna" and alike. Let's make some spicy mayo now! It's super east to make, will laterally take you less than 5 minutes and the result is always amazing." Why do we like spicy mayonnaise so much? Spicy mayonnaise sauce goes great with spicy tuna and other spicy sushi rolls. The hotness of the chilli spices the sushi with an entirely different kind of hotness than that given from the wasabi and mayonnaise contributes to the juicy fatty level of things. Alright, let’s make some spicy sushi sauce! Stir in a small bowl to combine evenly. Make extra sure the hot Sriracha sauce is evenly spread. If not used immediately, store in your refrigerator. The recipe described above has mild spiciness in mind. Make sure you experiment with different ratios of mayo and chilli to accommodate your personal hot sauce requirements. 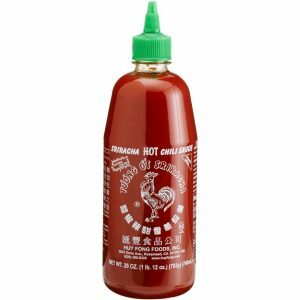 Once combined, use a spoon to load the newly made hot sauce into a squeeze bottle. If you don’t have one, or if making a small amount, you could also use a snack baggy, and pinch a tiny hole in the bottom. In order to use the sauce, simply squeeze the baggy to let the sauce leave a trail of hotness along the roll. Spicy mayo is good company for any dish from salad to steak, but most known for its true companionship with sushi. 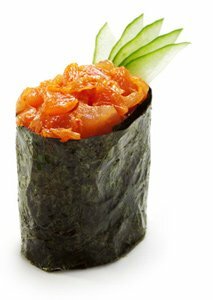 If you are looking for a good spicy tuna roll recipe, head your click right here. And here’s a bonus for all the chilli fans out there, how they really make Sriracha sauce? Enjoy. Good to know about the roll of Spicy Mayonnaise in sushi making. I’ll take note henceforth. Thanks! I knew I was missing something. Thanks for the recipes.. Let me go try this again. I never thought I could find a simple guide to making Spicy mayo online so easy. You made it so easy to grasp. Let me see how it works. I’m off to the practical. I can’t wait to be a pro. Lol. Plenty thanks!